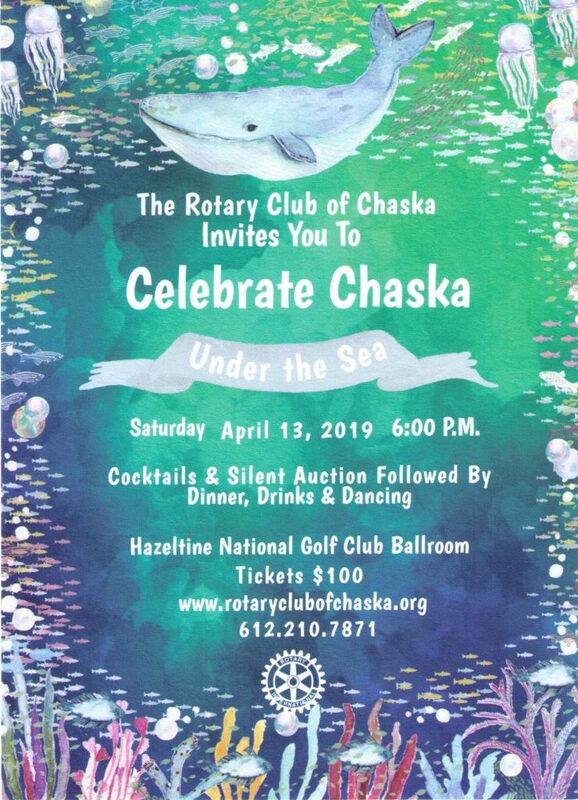 Each year, Chaska Rotary commits funds from the Chaska Rotary Gala event to benefit the needs in Chaska and closely surrounding communities. This year our theme is Under the Sea! The 2018 Chaska Rotary Gala raised nearly $50,000. This was only made possible with the help of our generous Rotary members and the following sponsors: MyPillow, Chanhassen Legion, Chaska Lions, Chanhassen Rotary, Victoria Lions, Five Stars Recovery, Klein Bank, Charter Bank, Lady Bug Daycare, Cossette Family on behalf of Promises4Kids, Mark and Sherely Eckstrom, Del and Kay Ploen, Lars and Nancy Akerberg, Jim and Judy Dauwalter, DolceVita, Lakeview Clinic, Vista Bank, Culvers, EPS, Drazen Henke, Qualitech, Victoria Rose Floral, Kraus Anderson, ReMax Advisors West, Melchert Hubert Sjodin, City of Chaska and Town Dental. This year’s major recipient is New Beginnings. New Beginnings, located in Chaska at the East Creek Family Center, is a comprehensive interagency program supporting teen mothers and son to be mothers and their families.